- Permeability test of soil. 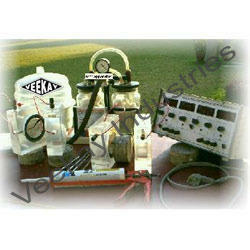 We are provided Permeability Tests. Permeability means the tendency to allow something to pass through. Hence the permeability tests are being used for the purpose of testing the components to find out its level of tendency to let the fluid or other minute particles to pass through it. Permeability Test for soil and pumping Test. Excellent vapour permeability, letting walls “breathe by allowing water vapour to pass outward through its film.